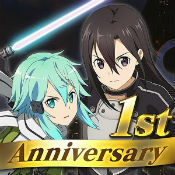 SWORD ART ONLINE:Memory Defrag v1.22.2 Mod apk for Android. [Disclaimer] (1) Operation is not supported for the models and OS versions other than those recommended. Note(WARNING):You will very easy to get banned,that’s why we haven’t updated the mod in a very long time, but people still requesting updates so use this mod at your own risk.